It's time to add predictive analytics and lead scoring to your sales strategy tool belt. As I have discussed in my previous articles, digital marketing tools and technologies are transforming the way businesses connect with prospective and existing customers. Adoption of these technologies is key to maintaining and gaining competitive advantage. Presuming you have “plugged in” to marketing technology and have started the data flowing, you probably are developing a keen sense of what strategies are most effective in converting leads to customers. Of course, this is only useful if, in fact, you are keeping the top of your sales funnel filled – and if the pipeline is delivering the types of leads that will lead to long-term, quality business relationships that will promote growth for your company. Predictive analytics is the way to address this challenge. 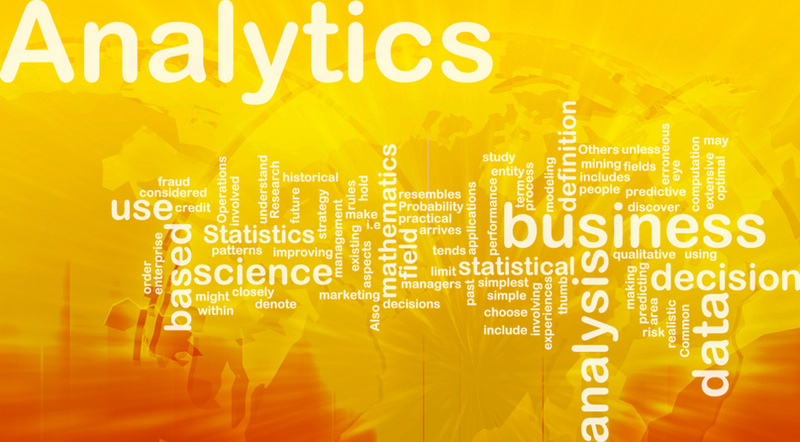 What is predictive analytics and why use it? For the unfamiliar, predictive analytics is the practice of gathering information about a company’s best customers, using the information to determine what makes them great and then combining these insights with external data to offer the most attractive solutions to current and future customers. 2015 is widely projected to be the year of “data-driven marketing,” with the adoption of predictive analytics techniques increasing as marketers see its huge potential to improve prospecting, increase lead quality and build the sales pipeline. According to TWDI Research, the top reasons that companies want to use predictive analytics are to forecast trends, better understand customers, improve business performance, drive strategic decision-making, and predict behavior. Predictive analytics can be useful for both growing existing accounts – and closing new ones. Of course, many business-to-consumer (B2C) companies have been using predictive analytics for some time as a means of improving customer understanding and driving sales. An example you may have encountered is the “recommendations engine” on ecommerce sites that makes product recommendations based on previous purchases by a customer and other customers with similar profiles, location, and reviews. Such technology enables marketers to make better use of behavioral data and other data points. Now, B2B companies are getting into the act – applying predictive analytics to accelerate sales by improving lead quality. "Nearly 14 times more B-to-B organizations are using predictive lead scoring than in 2011,” says Jill Stanek, research analyst at Sirius Decisions. 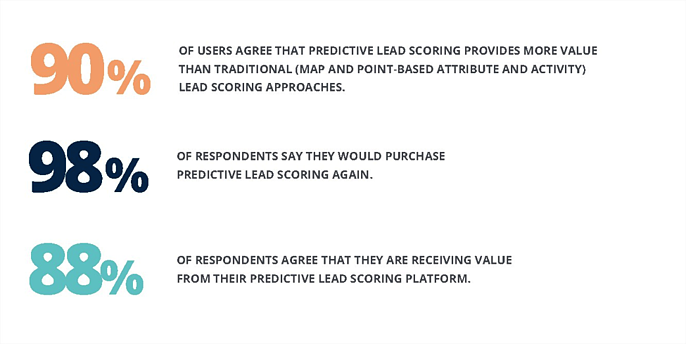 Predictive lead scoring increases the data points significantly, when compared to traditional lead scoring. This is because it allows marketers to take internal data from CRM systems (e.g., historical win/loss and transaction information) and marketing automation databases, and to combine it with data from the web and social media. The resulting lead scores are much better predictors of actual buying behavior as compared to traditional lead scores. Predictive lead scoring leads to improvements in sales productivity and marketing effectiveness, and better alignment between sales and marketing. There are several vendors today providing predictive lead scoring solutions. For example, Lattice Engines and Mintigo offer cloud-based B2B predictive analytics solutions, accessible to both large and small businesses, as a means of identifying, prioritizing – and ultimately closing – more customers. Both collect data from a company’s internal CRM and marketing automation database, and then add external data. This external data for prospects can be vast – including such inputs as company financials, number of employees, number and location of offices, management changes, press releases, media coverage, social media activity, job openings, patents, mergers and acquisitions, etc. If we consider a truism that has stood the test of time – high-quality leads accelerate sales cycles and ultimately increase sales – it seems only logical that the latest predictive analytics tools should be a part of any marketer’s arsenal in today’s wired world. What are you doing to leverage your data and improve your sales funnel?